Float Switches are inexpensive and efficient liquid level detectors. They are simple to install, and designed for trouble, free operation over a long life. The LR07 is a plastic float switch moulded to a EPDM. 3 core cable. Actuation is via a roller ball and micro-switch arrangement within the switch thereby eliminating all heavy metals from this version. A durable, industrial quality top entry float operated switch. Providing a make or break contact. Allows a range of adjustment to control high and low water levels. 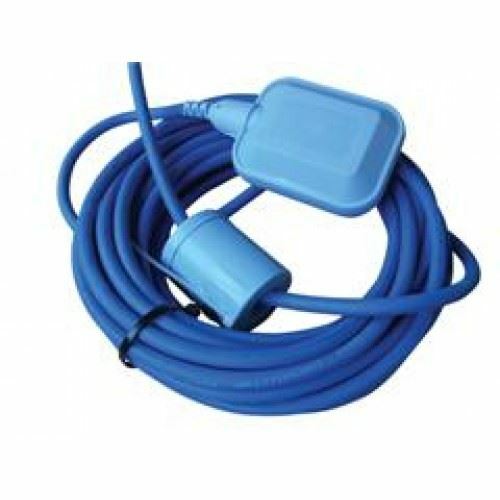 Suitable for the control of pumps, valves and other equipment. Suitable for top entry, mounting vertically into the tank lid. Does not require an additional mounting. Supplied with a cable gland. 1. The float chamber houses the micro- switch arrangement, totally sealed within a polypropylene casing, with a single pole double throw action. Whilst no hard and fast rules apply to the mounting of these units, the lead should be supported in an enclosed vessel, and in an open vessel, it is advantageous to clip the lead to the side, especially if excessive turbulence is experienced. To obviate the effects of rapid switching conditions that would result if such turbulence is experienced, it is advantageous to use a maintaining circuit which both safeguards the microswitch and cuts out any chatter in the starters of associated pumps etc.